The 10 member states of Asean and China’s Hong Kong Special Administrative Region will sign the Asean-Hong Kong Free Trade Agreement (FTA) and Investment Agreement on Saturday in Vietnam, according to Minister in the Prime Minister’s Department Datuk Seri Dr Wee Ka Siong. Speaking to reporters after the opening ceremony of “In Style, Hong Kong”, the Hong Kong Trade Development Council’s (HKTDC) two-day mega promotion event here yesterday, Wee said the FTA between Hong Kong and Asean will help boost exports and trade between the two regions. “To further strengthen our relationship within Asean with Hong Kong, our government has agreed to ratify the FTA and Investment Agreement between Asean and Hong Kong,” said Wee in his keynote speech. 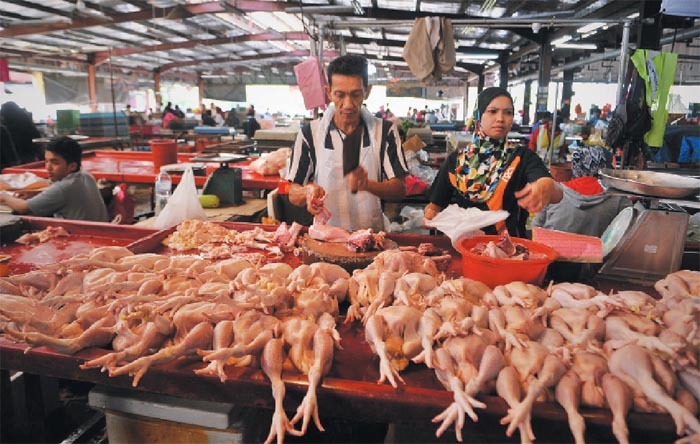 The FTA will require Malaysia to abolish import duties on certain trade goods and streamline the country’s import regulations with those of the World Trade Organization, said Wee. Once the agreement is ratified, it will come into force on Jan 1, 2019. Wee said Hong Kong has agreed to allocate HK$25 million (RM13.53 million/US$3.2 million) in five instalments to implement economic cooperation programmes, including those related to customs, logistics, e-commerce and professional services, under an Economic and Technical (Ecotech) Joint Committee support unit nested with the Asean Secretariat to carry out Ecotech programmes. “These programmes will facilitate more effective and efficient trade links between the region and Hong Kong,” he added. He said it is significant for Malaysia to also take part in the Asean-Hong Kong trade, which generated US$106.8 billion in total merchandise trade last year. “Moving forward, we will continue to cultivate our warm bilateral relationship with Hong Kong, whose people are as close to Malaysians as any others,” said Wee. Meanwhile, HKTDC chairman Vincent Lo said the world’s focus now falls on Asia to drive economic growth. “Against this backdrop, the relationship between Malaysia and Hong Kong is taking on a new significance,” said Lo. “In trade, Malaysia is Hong Kong’s fourth-largest Asean trading partner and with the upcoming FTA with Asean, we can look forward to increasing our trade flows in the future,” he added.